I am very happy to say that the Karbach Brewing Company out of Houston Texas has officially made its distribution push up to North Texas. During their Fort Worth launch week, I was able to get to sample of one of their specialty tappings at one of my favorite bars, The Bearded Lady. 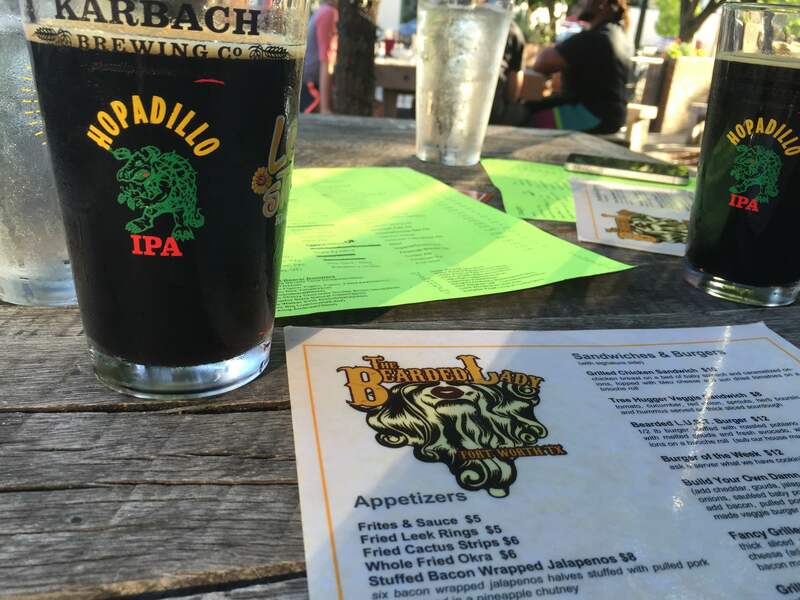 The Karbach Brewing company has quite the resume behind it. Their braumeister actually studied in Munich to learn the art of brewing. Before starting Karbach, their were many other projects including working at Flying Dog. I can safely say that I am proud to see them branch out to begin a brewery that can become a Texas staple. The beer I tried was the Bourbon Barrel Aged Hell Fighter. It is an Imperial Porter that really packs a punch. Definite notes of chocolate with a surprisingly bitter taste for a porter. They were able to crank the IBU rating for this beer up to an 85. They also were able to crank the ABV to 11.5% thanks to the bourbon barrel aging. The aging brought a nice complexity to the beer which I believe helped to round out the flavor and give it balance. There are times when I have had barrel aged brews simply for the goal of trying to make it fancy. This was not the case with Karbach. Honestly the only thing that I didnt like about this beer was that I had it during the summer time. Drinking a beer that you cant see light through in the Texas summer heat can be a herculean task. I can tell you that once its winter time, I will be on the lookout for this beer!